after a public hearing, by the then Executive Office of Transportation and Construction to the issuance of any municipal building permit relative to land formerly used at any time by a railroad corporation as a right of way or on property appurtenant to a former railroad right of way. Attorneys are often asked to opine relative to the applicability of this improvidently drafted statute. I remember well, 15 years ago, that my late friend Henry Thayer proposed legislation to limit the statute’s terms in a manner that would make sense to him and his clients. A mentor to generations of REBA members, Henry was also a fan of railroads, and a student of their history. He told me that the statute was passed in the wake of the financial collapse of major railroads in the northeast in the 1960’s. The decade saw many railroads in financial trouble as well as a number of mergers. This culminated in the collapse in 1970 of the newly created Penn Central Railroad giant. Realizing the severity of the situation, the Federal government established the Consolidated Rail Corporation, which comprised the skeletons of several bankrupt Northeastern carriers, to begin operations in 1976. With Federal backing, Conrail began to slowly pull out of the red ink, and by the late 1980s was a profitable railroad after thousands of miles of excess trackage were abandoned or upgraded. Also, Amtrak was created to organize a chaotic system from the remnants of the private freight railroads' passenger operations. Henry said that chapter 40, sec. 54A was one of two statutes, the other one being M.G.L. c. 161C, sec.7, that were intended to preserve rights of way for future transportation needs. Under chapter 161C, sec.7 the Massachusetts Department of Transportation (MassDOT), or its designee, has a right of first refusal if any railroad company wishes to sell, transfer or otherwise dispose of railroad rights-of-way or related facilities to another party. This right of first refusal is clear and easily understood by conveyancers. On the other hand, chapter 40, sec. 54A was improvidently drafted. 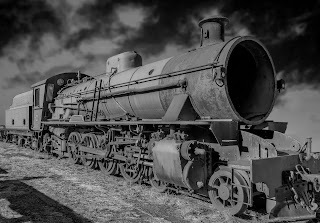 Under its terms it applies to any lands formerly used as a railroad right-of-way, and any property appurtenant thereto, if ever used by any railroad company in the commonwealth. Henry said that this language could encompass property and facilities not within, or even in proximity to, the right of way. From his knowledge of history he knew that in Woburn there are former woodlots that belonged to the Boston and Lowell Railroad in the days when locomotives burned wood. These lots were sold in the 1860’s, but they are still technically subject to the statute. During a 50-year title search, even assuming a recorded plan shows the former right of way, how would the examiner know if other property was appurtenant to a right of way? It would not be ascertainable from the record whether the Commonwealth, during any particular administration, might at some point intend to utilize affected land for future transit purposes. Henry asked whether the statute was intended to apply to the vast acreage of former railroad yards in South Boston, Somerville, West Cambridge, Worcester, Greenfield, to name just a few cities where land is so affected. Of course, the customary 50-year title search generally would not identify railroad land deeded out during the Depression or earlier. I think Henry would appreciate my use here of the metaphor “phantom ghost train” to refer to a fact that may be unknowable despite a diligent title search. Henry Thayer wanted a hard statute of limitations (50 years made sense to him) to limit the arbitrary effect of the statute. He also wanted to get rid of the “property appurtenant thereto” clause. To that end, REBA filed and supported legislation for several years. I recall getting it through the House one year, but failing in the Senate. Another year the Senate passed it, but the House did not. Other REBA leaders, including former presidents Steve Edwards and Greg Peterson, joined in the advocacy. In recent years, REBA joined with NAIOP, the premier commercial and industrial real estate trade association, to support passage of legislation. Representative Joseph F. Wagner (D-Chicopee), House Chairman of the Joint Committee on Economic Development, filed NAIOP’s bill. Paula Devereaux, REBA’s current president-elect, was part of a team, coordinated by NAIOP Senior Vice President for Government Affairs Tamara Small, who met with senior staff at MassDOT to negotiate a final bill that we could jointly recommend to the General Court and Governor Baker. Representative Wagner and his Committee’s Senate Chairman, Senator Eric P. Lesser (D-Longmeadow), recommended the legislation in an omnibus bill that was passed at the end of formal sessions in July. Also supporting the legislation were the co-chairs of the Joint Committee on Transportation, Senator Joseph A. Boncore (D-Winthrop) and Representative William M. Straus (D-Mattapoisett). On Friday August 10, 2018 the legislation was approved, with an Emergency Preamble, by Governor Charles D. Baker. St. 2018, c. 228, § 10. We were unable to get the hard statute of limitations, but the new act clarifies the former statute so that land that was not used as a railroad right of way would be excluded from its terms. The clause that refers to other property “appurtenant thereto” was eliminated. The act retains the required consent by MassDOT to issuance of a building permit on former railroad land, and gives MassDOT new discretion to determine when a public hearing is required. REBA looks forward to the promulgation of regulatory guidance in that regard. Ed Smith has served as legislative counsel to the Association since 1987. He can be contacted by email at ejs@ejsmithrelaw.com.